Since I am not yet a mama (except to the pugs! ), I reached out to the Herbies in the Herbie Parents group on Facebook for help. Over 2 dozen parents wrote in sharing their experiences, tips and suggestions, which I've compiled in these three posts. Raising vegan/plant-based kids is rising in popularity (yay! ), and I'm thrilled that these fantastic Herbies are successful examples and willing to share their thoughts. This first post (Part 1) focuses mainly on raising kids, handling social situations like birthday parties, transitioning kids to a plant-based diet, and everything in between. Part 2 will focus on getting kids to eat their veggies and other tips for picky eaters. Finally, Part 3will focus on pregnancy, breast-feeding and early childhood. 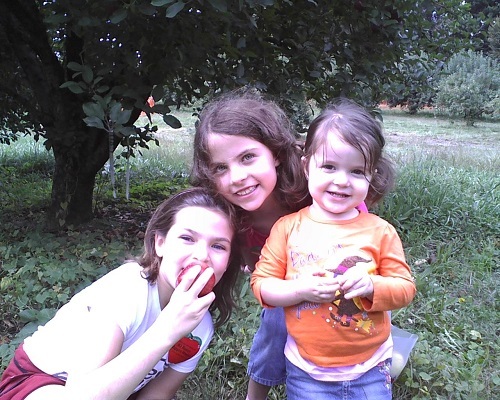 Leah F.'s plant-based kiddos picking apples. Have your children been plant-based (vegan) or vegetarian since birth? "We've got a 17-month-old herbie who has been plant-based since birth." — Ashley M.
"I am an ethical vegan of about 10 years, my wife remains a pretty typical omnivore. We have two boys aged 5 and 2 years. Both have been on a plant-based diet since birth." — Chris P.
"My oldest two were around 5 & 7 when we went plant-based. My youngest has been plant-based since she was born, and the new baby will be as well when he or she arrives." — Leah F.
How did you transition your kids to a plant-based diet? 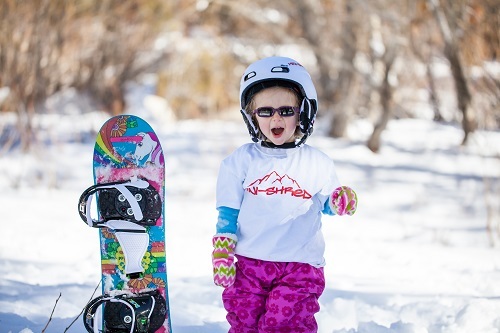 “For my daughter (9), I told her it was an experiment and she was all in. All three of my kiddos (and myself) had under eye circles and I suspected it was a milk allergy. We were going to see if it went away. She noticed the change and thought it was so cool that they went away. My son (3) is a tender-hearted boy, so I went the route about animals and what meat really was and how milk was for baby cows. Not graphic and age appropriate. My other son (2) eats whatever I feed him, so that was easy.” — Erica C.
"My children are older: 10, 12 and 16, so they have a very good understanding already about food. I have been swapping meat for ground crumbles and slowly trying new foods for about a year." — Dana G.
"I have been shifting to vegan over the past 3 months. My kids are 7, 5, 3 and 1. I told them, 'Mommy wants you to be healthy and strong. I am always looking for ways for us to eat healthier and we are going to try some new foods that Mommy is okay with making for you, and we need to find what you like from our new choices.' In regards to why we no longer eat certain things, I simply explain 'it isn't healthy.'" — Melissa A. "Slowly, over time. I took it 'food by food.' I only removed one thing at a time from their diets that they had been used to eating, starting with chicken nuggets. I let them watch a YouTube video on how chicken nuggets are made...that was all it took, they didn't want them anymore. Next it was cow's milk. I always let them watch any documentaries and videos that helped convince me and ultimately, they made their own decisions." — Leah F.
"I honestly don't remember what I said at the start. When I feel they need reminders, I'll tell the eldest (6 ½) that animal products aren't good for our bodies and can make us sick. I say, "I want you to have a long, healthy life. Eating plants makes you stronger and faster." I'll tell the youngest (2) that cow milk is for baby cows." — Ellen A. "It's been easy to get them to eat the food I cook. They have always been good eaters, not too picky. My kids (6 ½ and twins, 5) do continue to ask for butter on toast, yogurt, macaroni and cheese." — Kim F.
"YES. Still working on it. The 1 year old is fine. The 3-year-old boy is the toughest. He doesn't want 'icky' food (the plant-based meals), he was 'good' food, which he defines as pizza, dessert and ice cream (which were never a regular staple in our home anyway...they would be occasional treats)." — Ashley M.
"Not at all. I did not make the decision for them — I showed them the evidence and I let them make their own decisions. That way I wasn't the enemy or unilaterally deciding for them, they were as grossed out as I was by what animal based and processed foods were doing to us, and they made their own choice to walk away from them. They are very smart kids. ;)" — Leah F.
"It wasn't really difficult for my son. The hardest part was losing chicken nuggets. I bought him some faux nuggets to help that part. We also swapped out his mac and cheese with Amy's mac and cheeze or HH's mac and cheese. We swapped hot dogs for soy dogs." — Tina M.
"Our eldest (6 ½) loved goldfish with applesauce and misses that. She loved Mac and cheese but I've finally found a recipe that we like, and “chicken” nuggets. I try to make her old favorites but it's been hit or miss and we have found new favorites." — Ellen A. "Yes, it is very difficult because they are getting mixed messages from my soon to be ex-husband and their grandparents. They are used to a lot of junk food because my parents used to pick them up every day after school and get them fast food. My husband likes to let them drink pop and eat doughnuts, etc. They don't like a lot of the food either so that is frustrating." — Dana G.
How have you, or how will you, explain your plant-based (vegan) diet and lifestyle to your kids? Particularly when they realize they eat "differently" from their friends? "I will take the same approach with my youngest 2 as I have with my oldest 2. Realizing we eat "differently" from others is an issue that has SECURITY as its root. If we don't feel the need to people-please or worry about what others think, then we are free to make our own choices in peace and allow others to do the same. Comparison ceases to be useful past the point of evaluating results. Once you start asking what others think of us, you are straying into people-pleasing and insecurity — a miserable way to live life, in my opinion. You can't please everyone and you shouldn't try." — Leah F.
"We plan on going the health route. Talk about how plant foods are healthier. And that eating a lot of animals is not good for the environment. We have a lot of cancer and heart disease in our family (on both sides, on both sides) and knew we had to make changes for our children's future." — Betsy L.
"My 5-year-old son clued in when he was about 3. It is hard for them at that age to not see things as completely black and white — i.e. : If it is wrong to kill other animals, why do good people still do it? I have had to help him learn how to advocate for the rights of other animals and he feels empowered that way, where as before, when he was confronted with the huge enormity of the reality that so many people eat animals, he was very upset and angry at people. We have also had to talk about how he can help other people understand that you can be healthy and happy eating only plant foods, and that the best time to talk about these things is notat the dinner table." — Chris P.
"I plan on following a vegan friend's footsteps: Her oldest asked why they were vegan. My friend said, 'These are the reasons we are vegan...' Her daughter (who was about 7 at the time) said, 'I like all those reasons. I want to stay vegan. ; I think it will go something like, 'We are vegan because it is the healthiest choice for our bodies, for the animals, and for the earth. Some people do not think the same way; they are not bad people, they just don't think the same way.' — Ashley S.
How do you handle social situations like birthday parties? "I tell the kids straight away, there will be pizza, cake, etc there. We can not eat that, but if there are fruits and veggies we will eat those. I also try to bake muffins/cupcakes/cookies to take with us so when it's cake time they have a treat too." — Erica C.
"My daughter (6 ½) has only been to two so far and I let her eat the pepperoni and cheese pizza both times because I didn't want to make a fuss. I also allowed her cake. At her own party, I made HH carrot cake and they all loved it. At holiday gatherings, our families know our choices. When going to a friend's house, she usually eats what she wants." — Ellen A. "Social situations call for a little bit of flexibility for us. Depending on the situation, we try to make sure we/he eats before we go somewhere. For the most part, we haven't had a huge problem. The parties we've been to so far have been more about playing than food. Our son will nearly always pick playing over food. If he does eat, we offer any plant-based or vegan options available. If none are available, we try to encourage him to go back to playing. If that fails, we try to give him something small that's at least vegetarian." — Tina M.
"I plan to allow the kids to eat as they wish when we are out, as I have always done. I have always been more strict about food in our home and give them leeway when we are out for the sake of the host, as to not appear rude or ungrateful. Depending on the expected food at the party, I may feed them at home beforehand so they are less hungry, but I doubt I will fully restrict what they eat. I am not pursuing a plant based diet on ethical/moral/political grounds, so it's not an ethical thing for me if my kids eat pizza or chicken or whatever. My older two, however, can see a cause and effect with what they eat and how they feel the next day. For them to be aware of the effect certain foods have on their body and to experience that, 'I wish I didn't eat that ice cream' occasionally will serve them better in making their own decisions as adults than, 'mom never let us have xyz'." 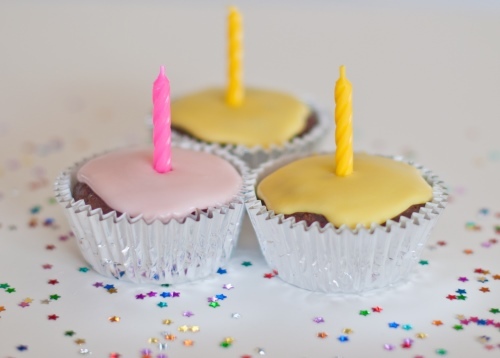 — Ashley M.
"I send an HH Chocolate Zucchini muffin with him to daycare when there are birthday parties. :)" — Lisa J. "Thankfully, most of my son's (5) friends are quite progressive. They have always provided vegan options for him and I when we attend. For other cases (larger family gatherings, etc. ), we simply bring our own food and desserts." — Chris P.
"All of our family members respect the fact that we have chosen to raise our daughters and any future progeny vegan. They are probably a little more reliant on faux meats, but that is ok with me! Also, the shelf stable non-dairy milk are a life-saver when you are really in a pinch on a social date — as are Cheerios. Yes, Cheerios are part snack, part musical instrument, so always helpful!" — Ashley S.
"I let my kids make their own decisions. I never require absolute conformity to our plant-based diet. I have observed that they will almost always say "no thank you" to the hamburgers and hot dogs, but they may choose to indulge in the birthday cake. This is fine with me. They usually come to me later and say, "Mom, that cake made me feel like crap/grossed me out." This is a useful part of teaching these principles, and I encourage them to draw their own conclusions." — Leah F.
"So far what we've done with our little guy is just bring his food to our social events and it hasn't been an issue. We actually get lots of questions and compliments on how fresh and healthy it looks." — Ashley M.
Have you had (good or bad) reactions from other parents or relatives? "My friends are beyond supportive. They go out of their way to make sure we have something when invited to their homes/parties." — Erica C.
"Most of the reaction we've gotten from other parents is that they could never do it and their children wouldn't survive because they refuse to eat anything healthy. We've hit all the common questions and initial opposition of protein and calcium and... Luckily, most people have seen how drastically our health (and weight) has changed and how well our son eats a variety of fruits and veggies so they have begun to respect our decisions." — Tina M.
"My aunts make comments about her being weird because she prefers healthy foods. And other parents are surprised at how many veggies she eats." — Betsy L.
"The biggest issues with children and unhealthy treats is not the children themselves, it's the adults around them. Not only are the adults the ones buying the unhealthy food, it's the way adults insist the kids should eat sugary snacks and that they are somehow "missing out" if they aren't eating them. I can't tell you the number of times my daycare provider has said something like, "Oh I felt so bad for your daughter today because the other kids had cupcakes and she just had a bowl of fruit." (By the way, my daughter is not crying about not having cupcakes, she actually loves fruit and sees it as a fun snack). My goal is to have my daughter understand that she is not "missing out" when it comes to food. You can miss out when it comes to playtime or watching a movie, etc., but putting food in your body should not be the way we measure involvement in a party or activity, especially for kids." — Meredith L.
"The only real reaction we have gotten from parents is on the idea that we have made all his baby food and they say "wow that's a lot of work!" It takes some planning, and after the first couple times it's pretty easy." — Ashley M.
Finally, what advice would you give another parent hoping to transition their kids? Many Herbie parents have also had great success during their plant-based transition with our family meal plans, which are designed with kids in mind and to save busy parents time and money! "Start as soon as they start eating solids. Our son knows no different, really. When he starts school that's when our challenges will begin, I believe..." — Lisa J. "Remember that it's a transition for everyone. Kids don't have the ability to understand big concepts like cardiovascular disease, diabetes, or whatever it is that as adults you've found motivating. Be patient and encouraging. Keeping a positive attitude goes a LONG way. Let them pick out fruits and veggies. If you don't know what it is, buy it anyway. Find a recipe to make using whatever it is they've picked out. Let older kids flip through recipes with you. Decide what to try together. If there is something specific they're missing, try to find an alternative. Some alternatives will help ease the transitions, but others will not (soy hot dogs worked for our son but NOT us). Also, sometimes caving to a craving of an old favorite can really help. We've found that a lot of the things we used to love don't really taste that great now that our tastes have changed. It also helps remind us that we are in control and not deprived, but gaining so much more than what we've "lost."" — Tina M.
"Treat it as an adventure and something exciting. We made it an experiment and my daughter enjoyed tracking the differences in each of us." — Erica C.
"Kids are the same as adults. It takes time for them to adjust to not having the fatty, rich foods and learning to like the new diet." — Kim F.
"DEFINITELY raise your children vegan. Don't think twice — it is very possible for children to be healthy and thrive. Do your research and stick to your guns. People are going to make comments, but if you are armed with knowledge you will have the confidence to carry on. I'm not going to lie, it is a lot of work. It has to become a part of your lifestyle but what could possibly be more precious or more important than the health of my family? You can't buy health, you have to work at it and I'm up for the challenge. The work is easy and second nature when you realize the benefits. I can't imagine life any other way." — Meredith L.
"It isn't hard — For picky eaters, involving them as much as possible in the preparation of the food, and in making their own food choices goes a longway." — Chris P.
"Take it slow, offer education and let them decide, don't require perfection. ABOVE ALL ELSE set the example. Your kids are MIRRORS in every aspect of life. They allow us to see ourselves and many times it isn't pretty. If we are humble enough to realize that we can't ask them to change without offering equal change on our part, we will have much greater success." — Leah F.
"Do your research and do what's best for your family. You are the parent, not other people! Follow your instincts and be awesome! There's so many sources for info and awesome recipes, use them!" — Betsy L.
Thanks so much to the wonderful Herbie parents for sharing their experiences! Be on the look-out for Parts 2 and Part 3 of the Raising Herbies series coming later this week!! !